I’ve mentioned before that we recently got a digital camera and that my favorite subjects are my pets. I looked at some recent pictures last night, and I noticed this picture of Rufus with a bit of attitude. 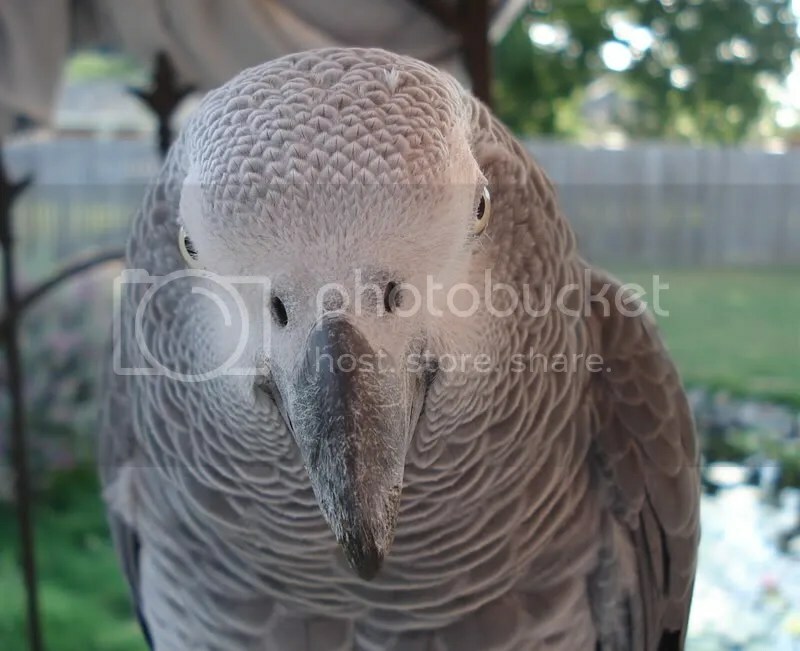 Don’t get in a stare-down with an African Grey Parrot, or you will lose!